"If anyone tries to interrupt this opening of Parliament, there'll be fireworks!" London, November 1605. The TARDIS materializes at a crucial moment in British history. 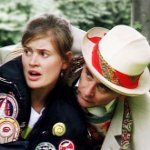 While Ian and Barbara set off for the Globe Theatre, Vicki accompanies the Doctor on a mysterious mission to the court of King James. What connects the King's advisor Robert Cecil with the sinister hooded figure known only as 'the Spaniard'? Why is the Doctor so anxious to observe the translation of the Bible? And could there be some dastardly plot brewing in the cellars of the Houses of Parliament? As a history teacher, Barbara thinks she knows what to expect when she encounters a man called Guy Fawkes. But she is in for a very unpleasant surprise. This adventure takes place between the television stories The Space Museum and The Chase. 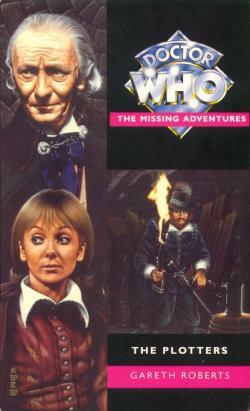 Gareth Roberts has written two previous books in the Missing Adventures series, The Romance of Crime and The English Way of Death, both of which have been highly acclaimed. He lives in Cricklewood.